Mango Green Tea is somewhere in-between sunning yourself on a glorious beach and being at home with a nice, hot brew. Evoke strong images of sunsets in paradise, all from the comfort of your sofa. This beverage is made only with the finest quality Sencha Green Tea coupled with natural Mango flavouring and beautiful sunflower blossoms. 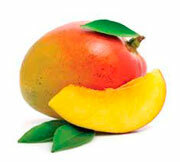 As expected, it offers a rich and juicy mango flavour with enticing grassy undertones. Furthermore, there are also health benefits to be had from drinking this tea. Believe it or not, when consumed as part of a healthy and active lifestyle, Mango Green Tea can help you to lose weight, as well as improve your cardiovascular system and even reduce the risks of developing Type II Diabetes. This barely scratches the surface when examining the true potential of this wonder-brew. Some will be aware of the history of Green Tea as a whole, or at least its supposed mythical origins. It is said that in 2737 BCE, a Chinese Emperor called Shen Nung fell asleep under a tea plant with a cup of boiling water to hand. When he awoke, he found that leaves from the plant had landed in his water. Intrigued, Shen Nung tried the infusion only to find it tasted fantastic. Whether there is any truth to this tale remains a mystery, while the history of Sencha Green Tea, in particular, is somewhat different yet equally allusive. Made up of rolled, dark needle-shaped tea leaves, it is believed the first variety of Sencha Green Tea was created in 1738 by a tea farmer from Uji, near Kyoto. Legend has it that the farmer called Nagatani Soen experimented with different tea production techniques, resulting in a tea very similar to modern-day Sencha. The tea leaves were green and consisted of a particularly fresh aroma when brewed. Over the course of time, this technique was perfected to create the Sencha we know and love today. Similar to the discovery of Green Tea as a whole, we may never know if this tale is true. Others have suggested that while 80% of the tea consumption in Japan is, to this day, Sencha Green Tea, it might actually have begun in China. Alas, another mystery, but one of the tastiest mysteries around! How to Serve: The enticing flavour of this brew requires no additions; however, should you wish to, lemon can make a potentially delicious accompaniment. Tasting Notes: Sweet, refreshing, and fruity, Mango Green Tea is a smooth and easy-drinking beverage offering delectable grassy hints and an indulgent aftertaste. Colour in Cup: Pale green liquor with yellow highlights, light in tone. Health Benefits of Green Tea: Drink this tea for an improved cardiovascular system. How, you might ask? Its simple: science. Mango Green Tea is rich in antioxidants which have the ability to combat free radicals. These free radicals are potentially harmful unpaired electrons and products of human oxidation. Consuming Mango Green Tea on a frequent basis can counter the damaging effects of oxidation by neutralising free radicals. In doing this, you will have a reduced risk of cardiovascular disease. In fact, a recent meta-analysis of 13 Green Tea-related observational studies discovered that test subjects who drank the most Green Tea had a 28% lower risk of a coronary artery disease than those who drank the least Green Tea. In addition to this, studies using experimental animals have since established the preventive effect of Green Tea against atherosclerosis.